Manic Monday?! Meh, 2015 is all about how to be happy! And nothing makes me happier than a little craft session. Monday morning crafts, I’ll take it. I dropped the boys off at school and broke into my dusty craft room. 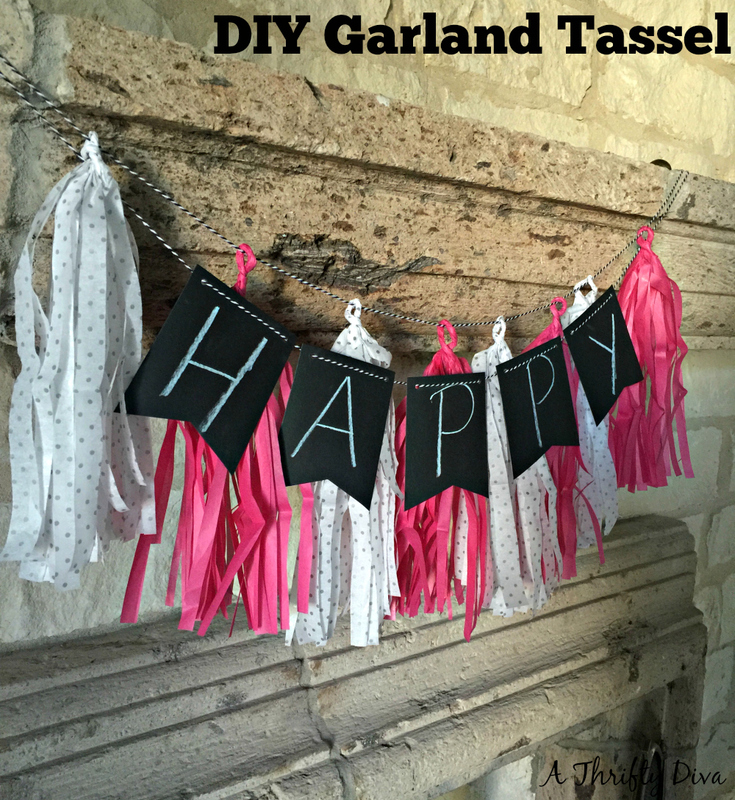 I neglected to make garland tassels for New Years eve. and decided to move on to Valentine’s/Dominic’s 4th birthday decor. 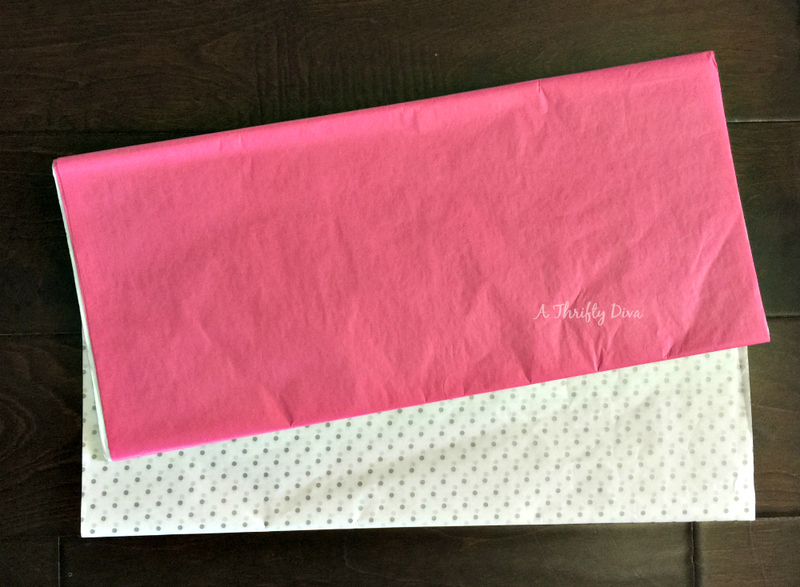 The pink is more for Valentine’s than my boo’s birthday. 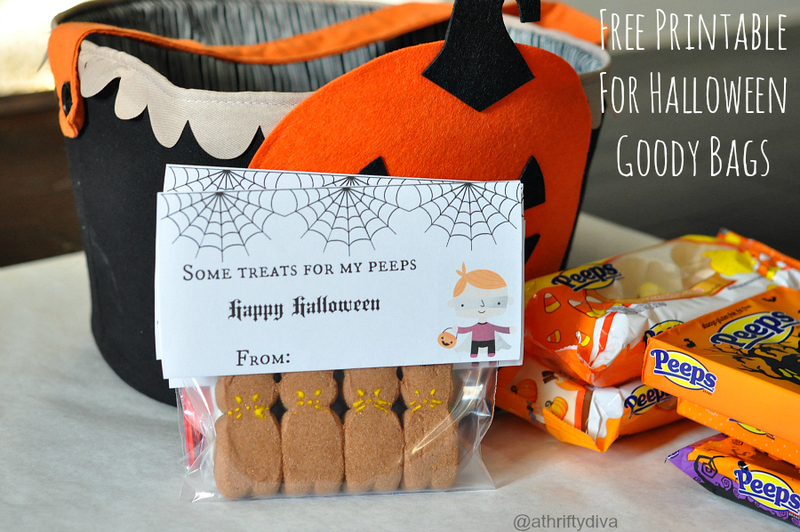 But these are so festive, I am making them in just about every color these days. Tassel garland is simple and it took me an entire 20 minutes to recreate that mantle craft. 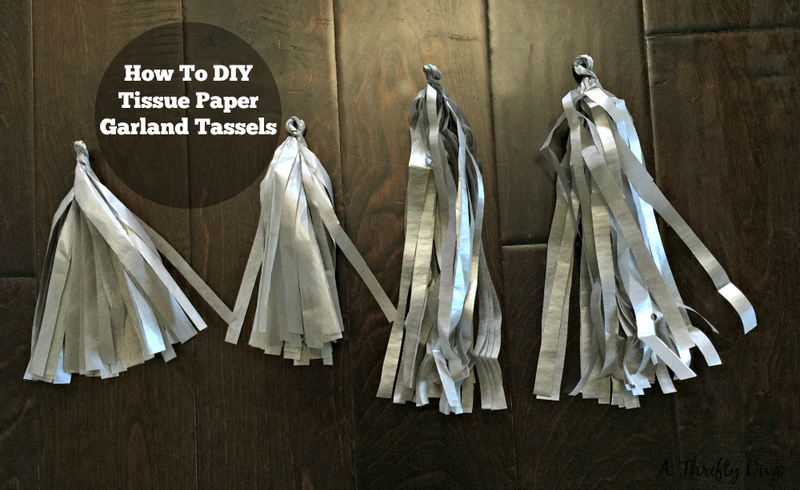 The how to DIY Tassel Garland step-by-step directions are done with one sheet of tissue paper, but after you master one sheet you will probably do 2 or even 3 at a time and whip through an entire garland of tassels at one time. 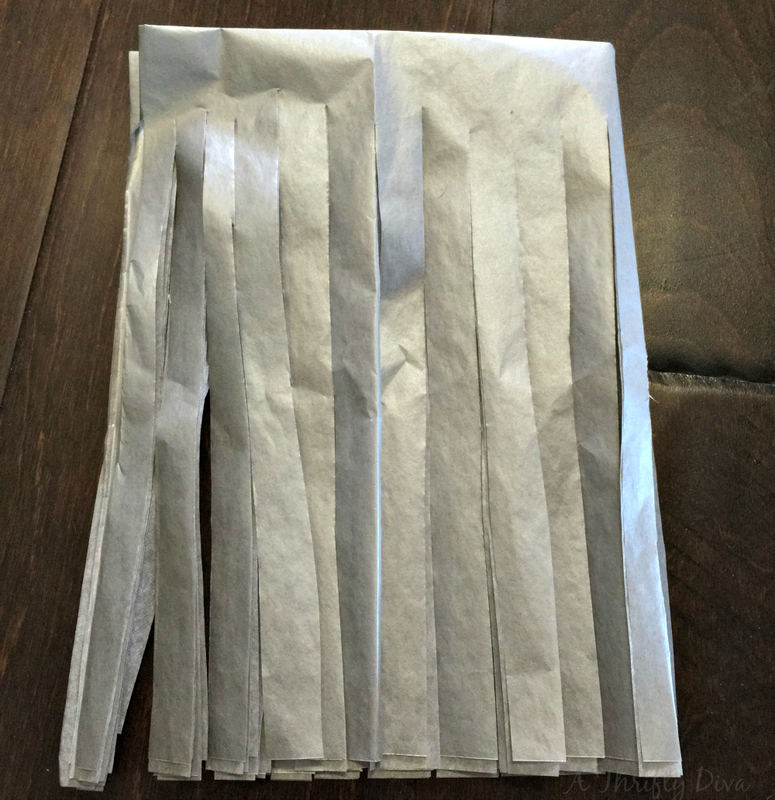 Take your favorite tissue paper, the less wrinkled the better. 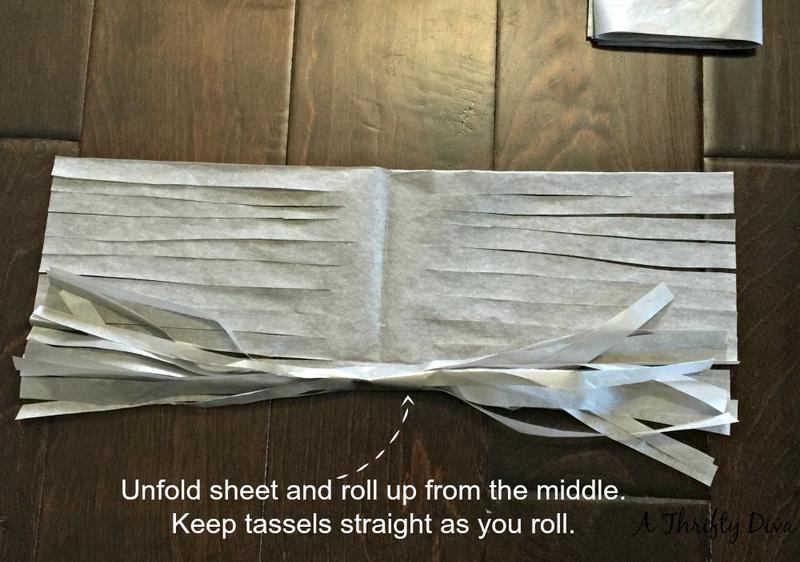 Make long tassels or short tassels depending how you fold the sheet. 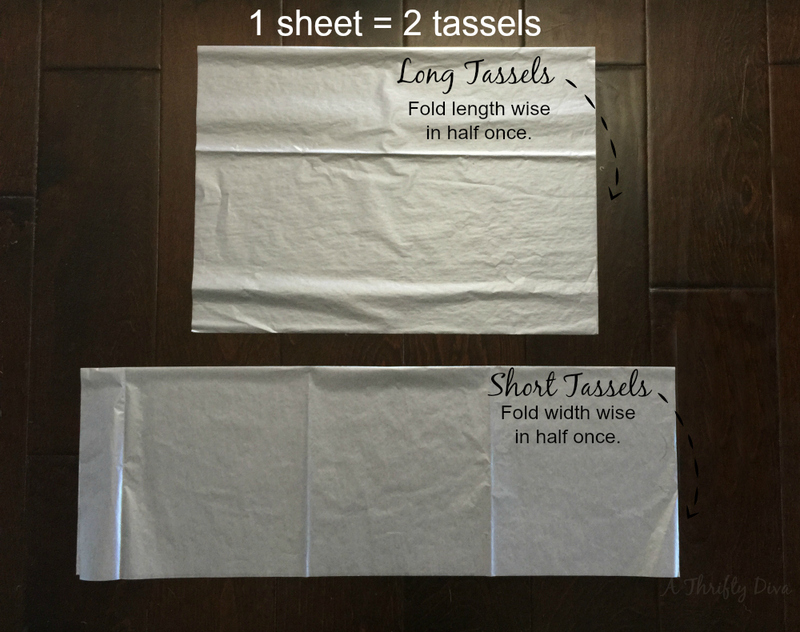 Each sheet will make two tassels. 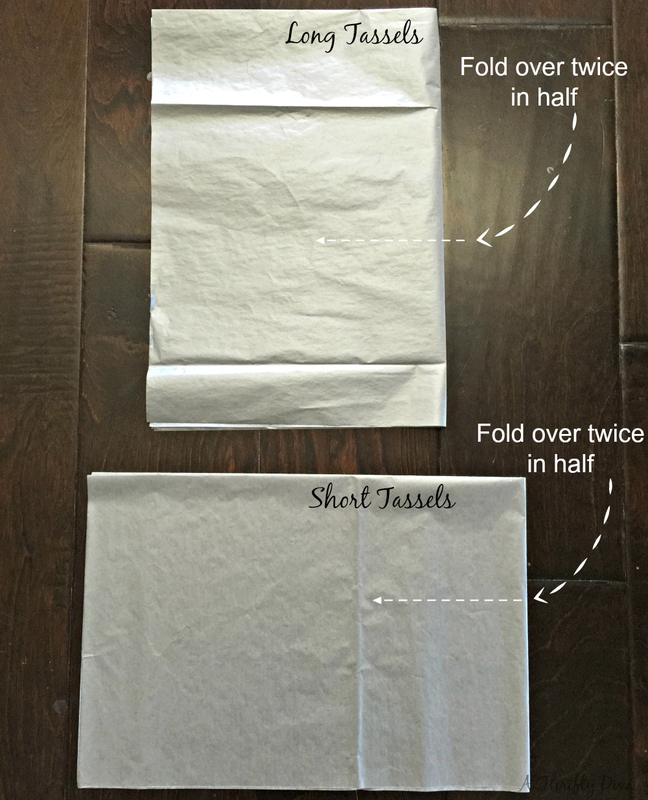 Fold the width of your sheet twice for less cutting time. 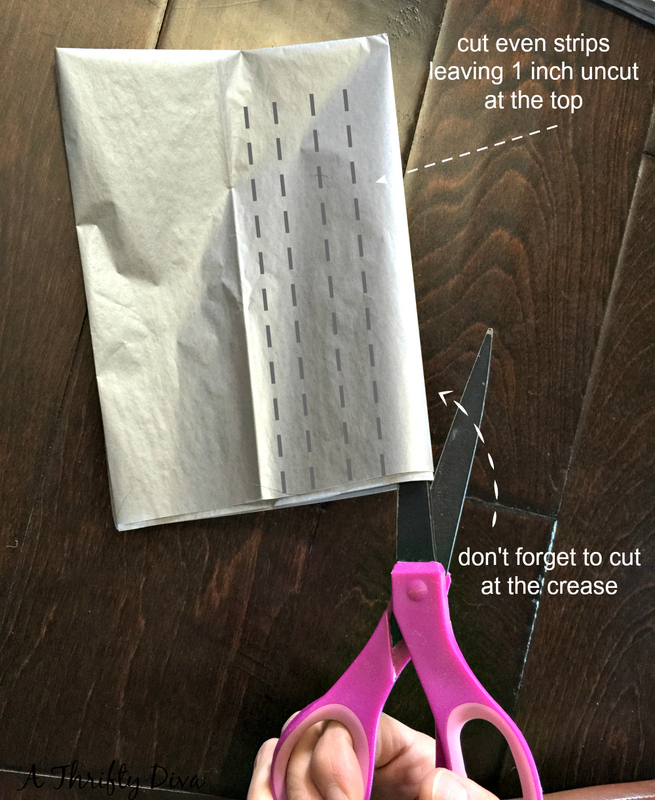 Cut even strips leaving an inch at the top. 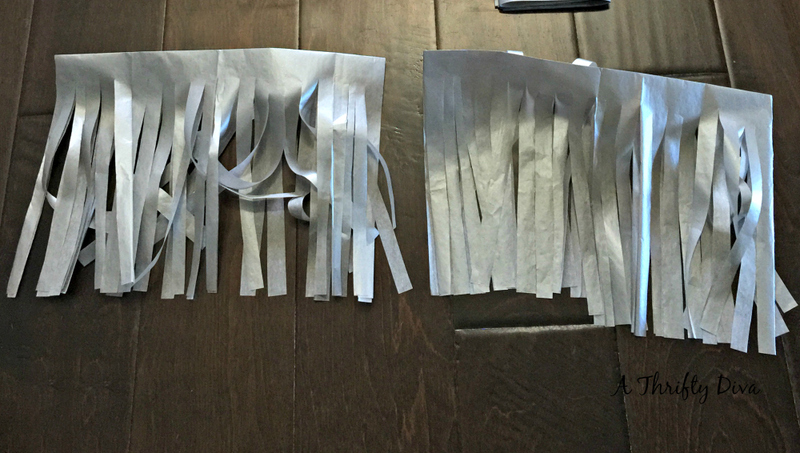 Make sure each slit stops at the same spot. 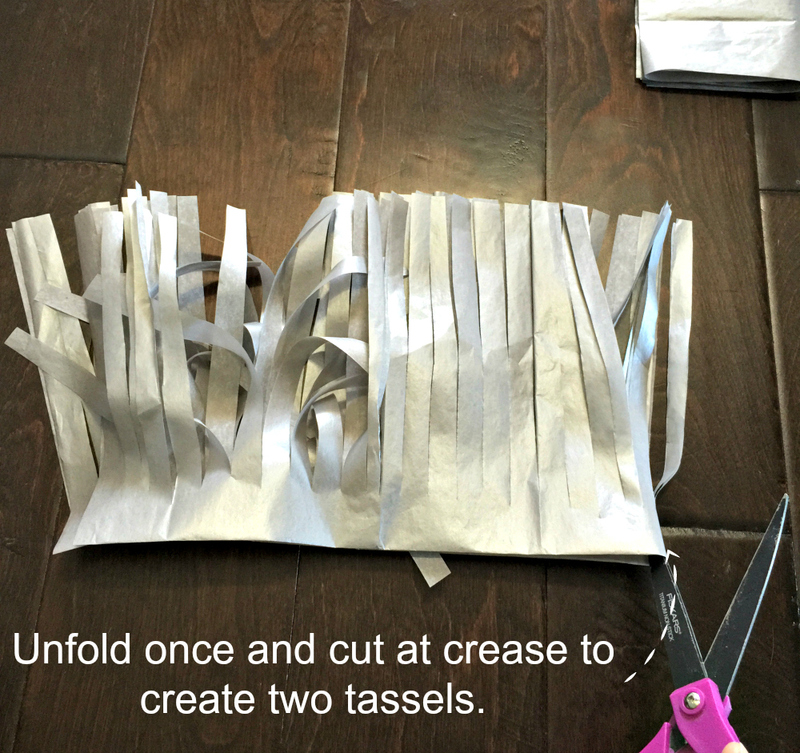 Unfold once and cut at the seam to make two pieces. Open one piece and start rolling it up slowly keeping tassel straight. 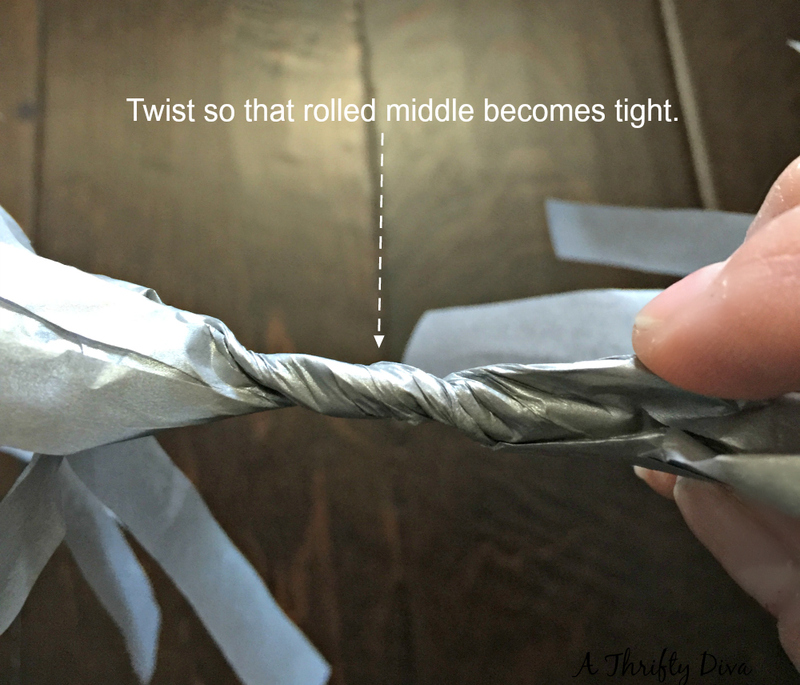 Once rolled start twisting the center. 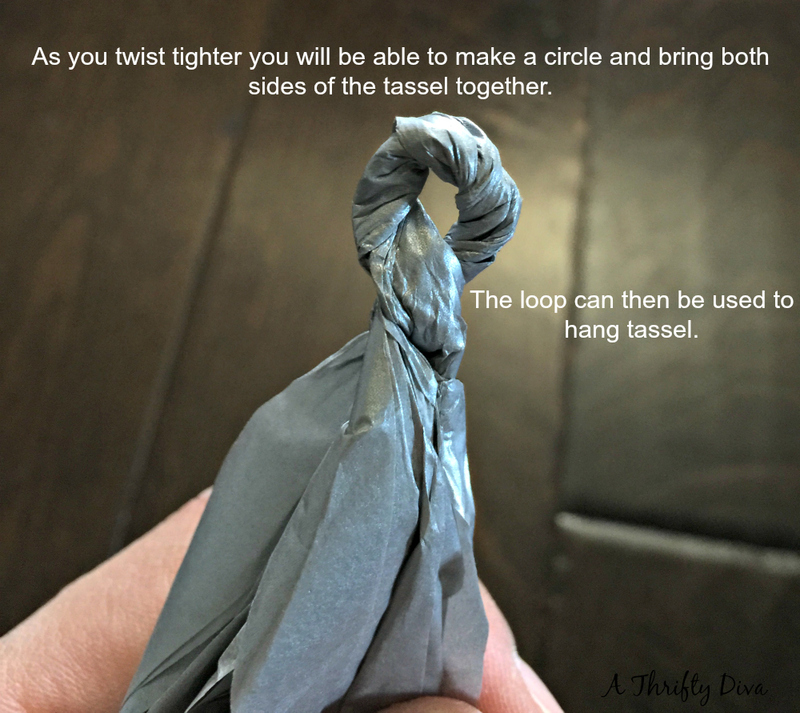 It will become tight making it easy to form a circle and bring tassel together. 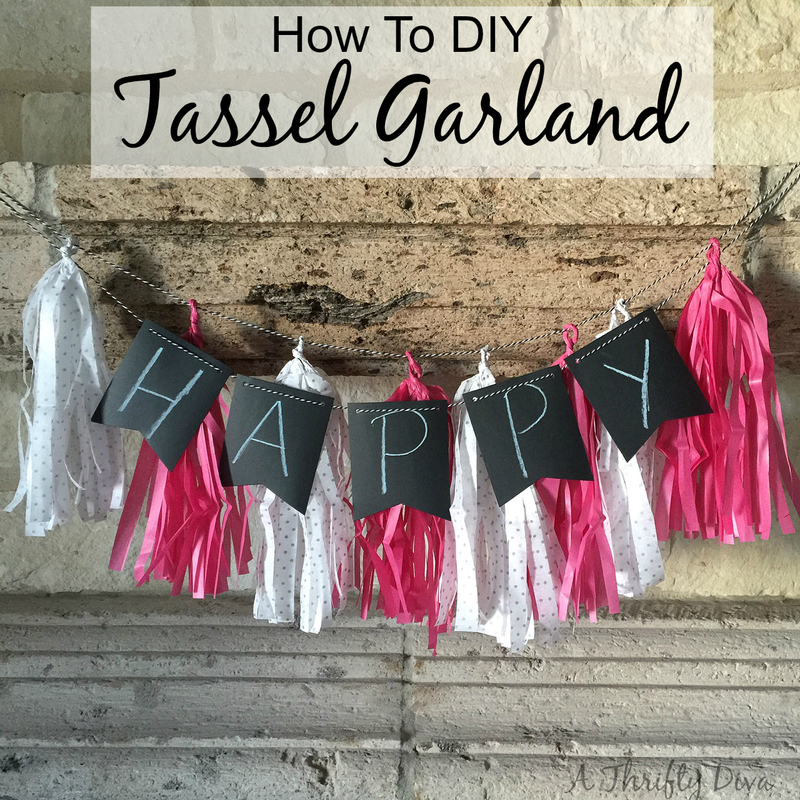 Add tassels to string and drape garland. Happy New Year from A Thrifty Diva!